Victorians enjoyed genteel lawn games. Today we accept games on the lawn either in the front or the back of the house without too much question. Such fun often occurs especially when visitors arrive to spend some time. 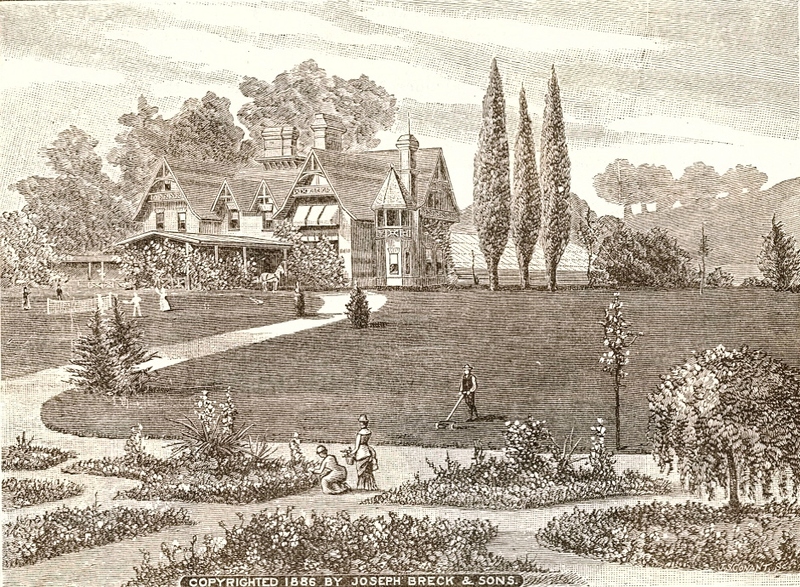 During much of the eighteenth century the lawn surrounding one’s residence was something people admired. It was not a field for sport. That all changed in the nineteenth century when middle class families could afford a lawn. Then it was not uncommon to play games on the lawn. But special games. Two women are playing croquet while a man and woman sit near-by on the summer shade swing. In the nineteenth century if you had a lawn, your guests expected to participte or at least see lawn games in action.